Boiler or water heater acting up? Call R Plumbing Company! Water heaters come in many shapes, sizes and types. 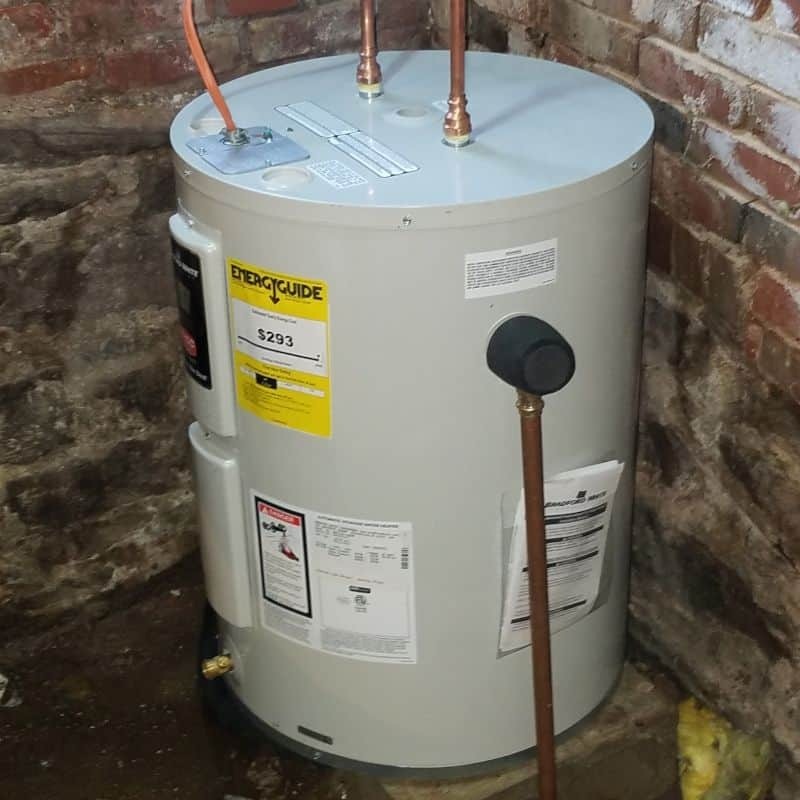 Tank type water heaters are the most common in New England and can be natural gas fired, LPG fired, oil fired or electric. Tank sizes usually range from 10 to 80 gallons (and even larger!) but 40 or 50 gallon water heaters are most common. Also fairly common are systems that heat domestic hot water indirectly from the boiler that heats the house. These systems come in several varieties both with and without storage tanks and varying levels of complexity. We are experienced with all of these systems at R Plumbing, installing, repairing, servicing, and replacing them almost daily. 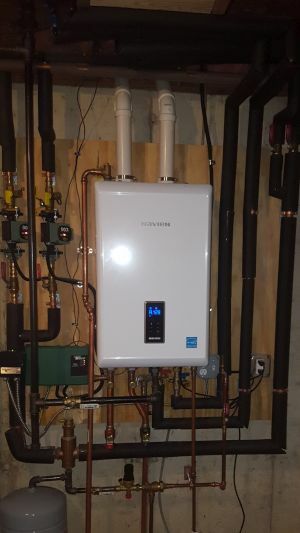 Modern tankless water heaters are a relatively new kid on the block, but have really been coming into their own in the last few years. Wall hung condensing gas fired water heaters are very efficient and can save greatly on both space, and energy costs but installation is by no means for amateurs. Combi boilers can be used to heat both your hot water and your home with maximum efficiency in a compact package. Boilers supply heat for many of Connecticut’s buildings by heating water to be circulated through radiators of various styles and types, baseboard being the most common on newer construction. Some older buildings use steam boilers to heat traditional cast iron radiators. Gas or oil fired boilers are most common, though they can rarely be electric. Boilers are commonly used to also heat domestic hot water as mentioned above. 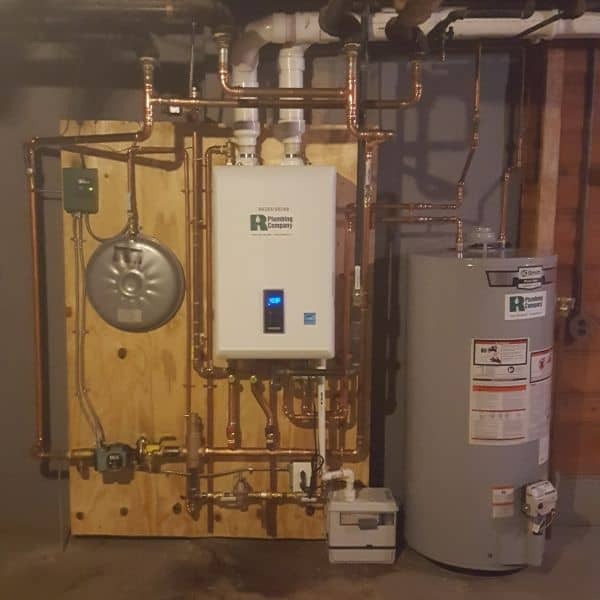 R Plumbing is experienced with all types of boilers and can perform repairs, replacements and installs, including retrofitting high efficiency systems from older low efficiency units.